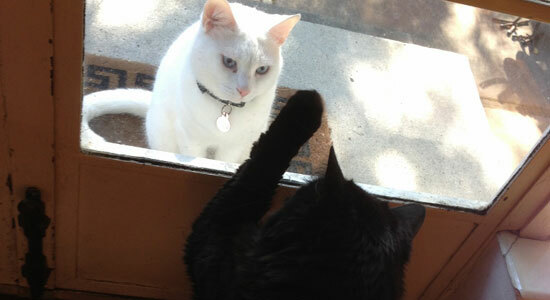 Sophie and Jasper are best friends and live next door to each other. 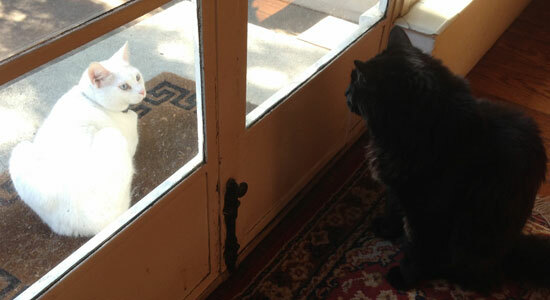 Sophie is an outside cat; Jasper is an indoor cat. 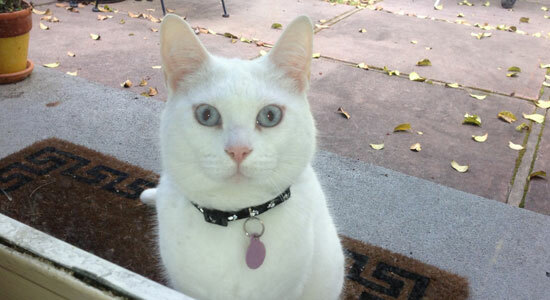 Every day Sophie walks over to Jasper’s house and gazes at him through his window. 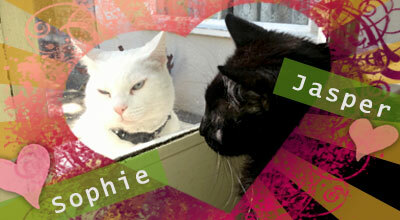 Jasper settles close to the window and follows Sophie’s every move with his large green eyes. 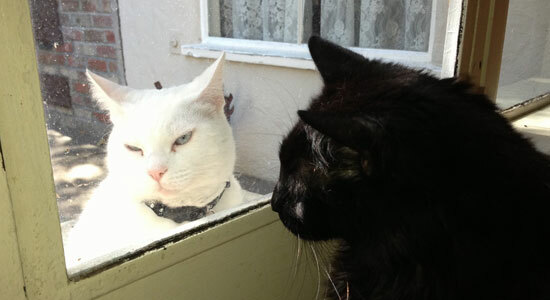 They would love to be together, but that is not allowed, so they are left gazing adoringly through a barrier of glass.